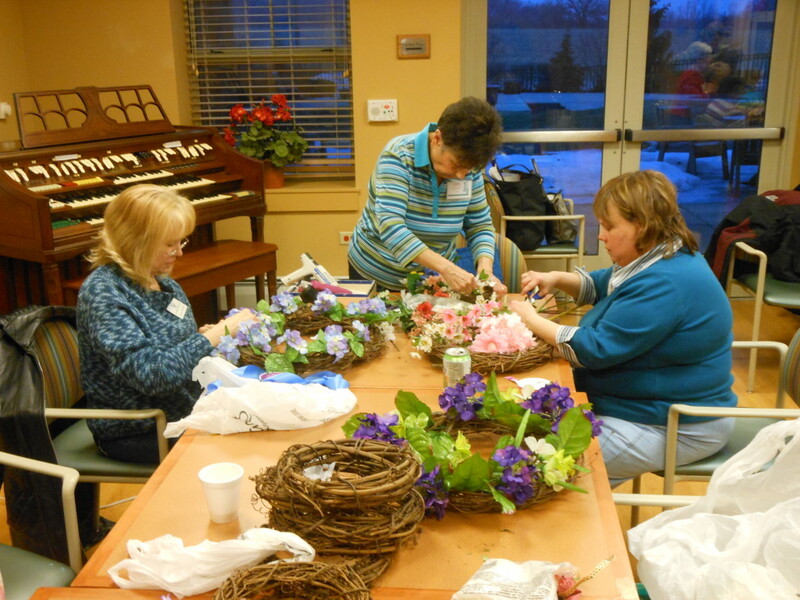 Our March, 2014 meeting was held at the Victory Centre in Bartlett. 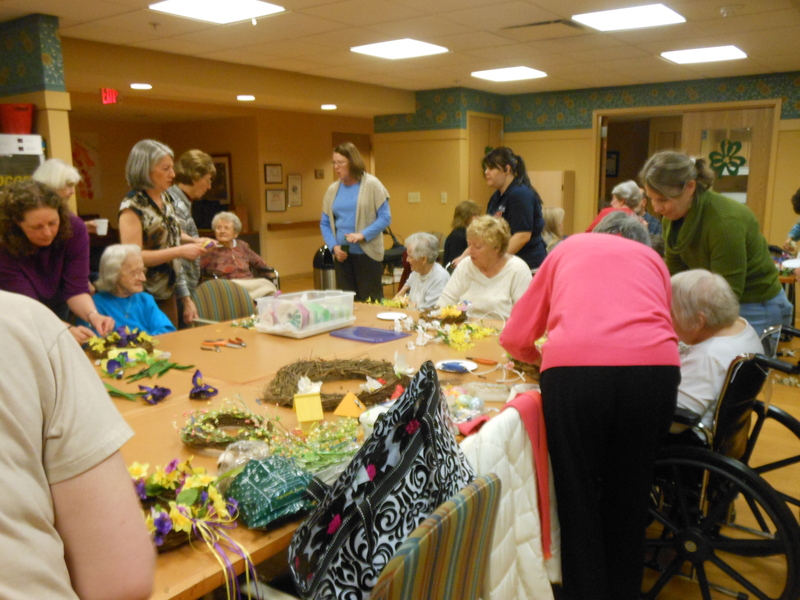 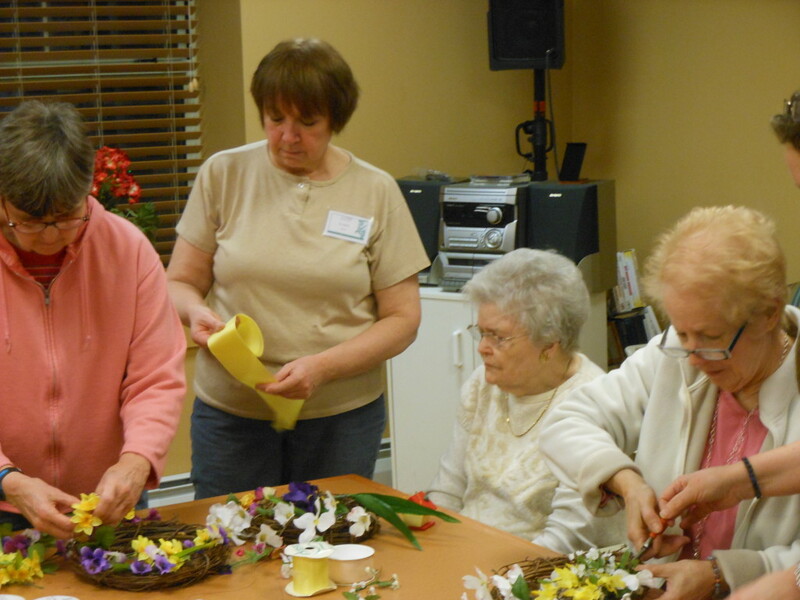 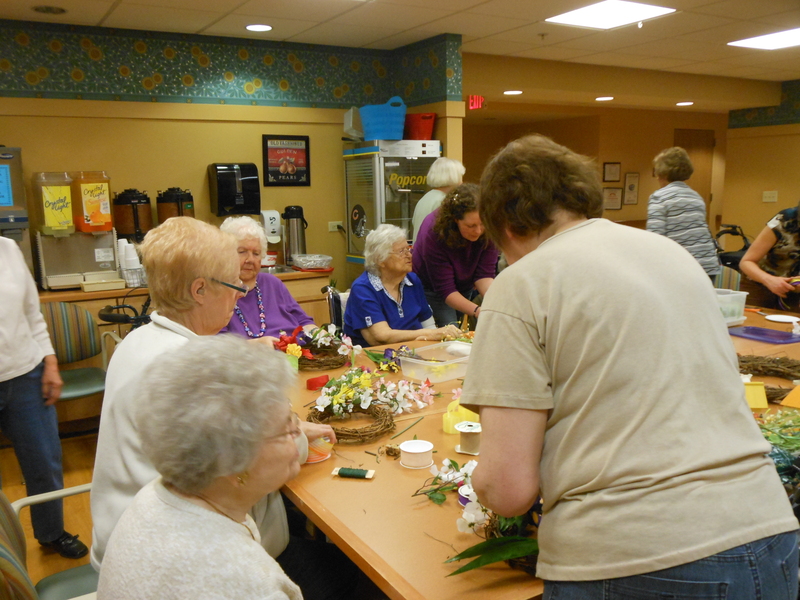 We offered assistance to some of the residents who were making spring wreaths. 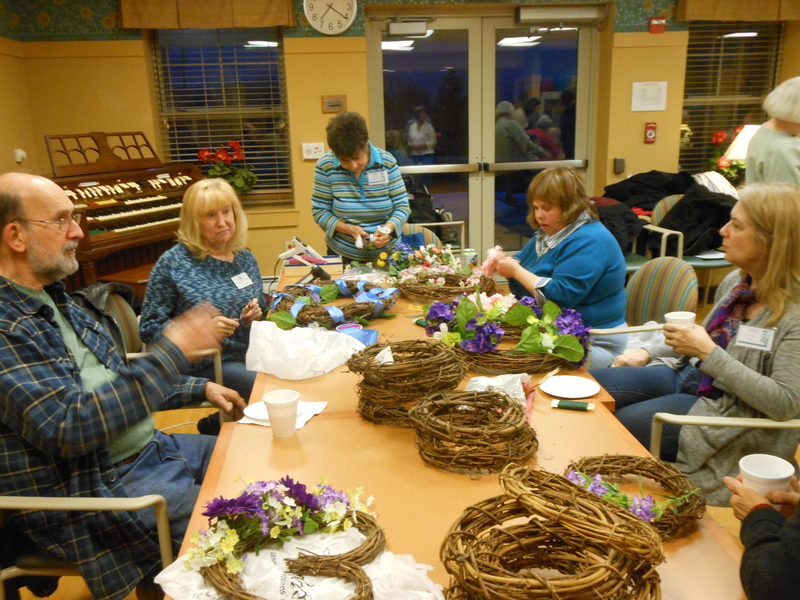 Our members also made wreaths for themselves.